These Cannes-inspired desserts are available for sale. You just need to order 48-hours in advance. The Cannes Film Festival is undeniably a fashion extravaganza. Every year, several actresses make headlines owing to their eclectic fashion choices, and this year several of our homegrown actresses made quite a statement on the red carpet. While you were busy showering praises on them and looking for ways to emulate their style, Pooja Dhingra, owner of the famous bakery chain Le 15 Patisserie was working on ways to create desserts inspired by them. 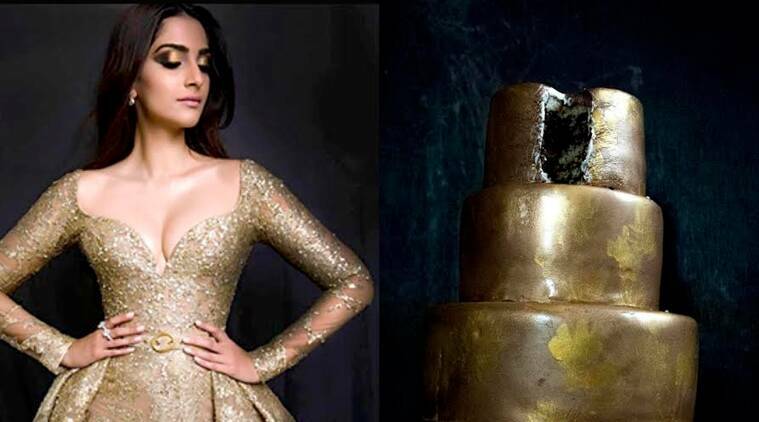 The famous chef recently posted a few photos on Instagram where one can see delicious cakes and macaroons inspired by the gorgeous dresses donned by the actress at the event. Speaking to indianexpress.com, Dhingra said, she and her team thought of the whole thing just a week before the film festival. “We conceptualised the idea a week before The Cannes film festival and decided to pick our favourite looks. We made the desserts soon after seeing them on the red carpet,” she said. The results are perfect! Check them out for yourself. Aishwarya Rai Bachchan had a dream run at Cannes this year as the diva rocked all the outfits she wore but Dhingra picked up the one where she was seen in a stunning Yanina Couture gown. The chef created a white chocolate and matcha cake! Who knew the gorgeous dress will make an equally drool-worthy dessert? Deepika Padukone’s unconventional and bold choices left a lasting impression at Cannes this year, and Dhingra has ensured that you do not forget the gorgeous Marchesa gown the actress wore at the red carpet. The chef made some very delectable red wine infused dark chocolate macaroon inspired by the dress. And of course there has to be Sonam Kapoor on the list. The actress had worn a stunning shimmery Elie Saab gown, and Dhingra made a champagne and chocolate tier cake inspired by it. This also got a stamp of approval from both Sonam and her sister Rhea Kapoor. While the actress commented, “Yummy”, her sister wrote, “Hook it bro”. Designer Masaba Gupta too joined the conversation and wrote, “There better be some real champagne in there.” We agree. Dhingra has not restricted herself to Indian celebrities alone. She recreated Naomi Harris’ gorgeous rainbow-laced Gucci dress into a rainbow cake. She also worked her magic on Elle Fanning’s beautiful Gucci dress with floral border and translated it into some delectable pistachio cupcakes. The response was tremendous and overwhelmed with the feedback, the bakery is now planning to do this more often. “We’re so thrilled about the overwhelming response towards our round-up of the Cannes Red Carpet. We can’t wait to recreate more red carpet looks in the future,” she said.